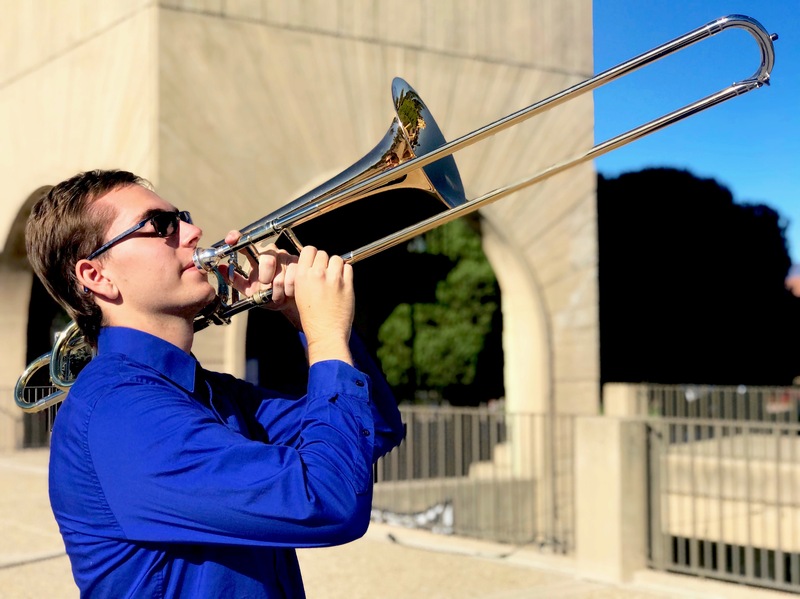 Undergraduate trombonist Nick Mazuk will present a recital on Sunday, May 12, 2019 at 12 pm in Karl Geiringer Hall in the Music Building. Mr. Mazuk will be joined by pianist Dr. Natasha Kislenko (UCSB faculty member) and the 8th Position trombone octet. The program will feature music by Paul Creston, Camille Saint-Saëns, Stjepan Sulek, Nick Mazuk, and more.